MIAMI — “I had a lot of living to do and it wasn’t going to happen in Miami,” Peter Menéndez recalls. In the aftermath of Cuba’s revolution, his family fled its native Havana and resettled in South Florida. But Miami in 1963 was still a sleepy Southern town with little appeal to a young Cuban with an affinity for art and a desire to live as an openly gay man. “New York was Mecca,” Mr. Menéndez added. The ink was barely dry on his high school diploma when he headed north. He eventually built a career as an architect while becoming intimately involved in downtown New York’s percolating art scene. His perception of Miami didn’t shift until he returned there in 1982. Waves of immigration in the 1970s had begun subtly changing the social fabric; the arrival of nearly 125,000 Cubans via 1980’s Mariel boatlift supercharged this transformation. Miami’s once sclerotic arts world became roused by many of the newly arrived exiles — including the novelist Reinaldo Arenas and the painter Carlos Alfonzo — who brought an avant-garde spirit and an expansive vision. “The city itself had begun to have cultural ambitions,” said Mr. Menéndez, who joined a Miami architectural firm, gave up his New York apartment and settled in. 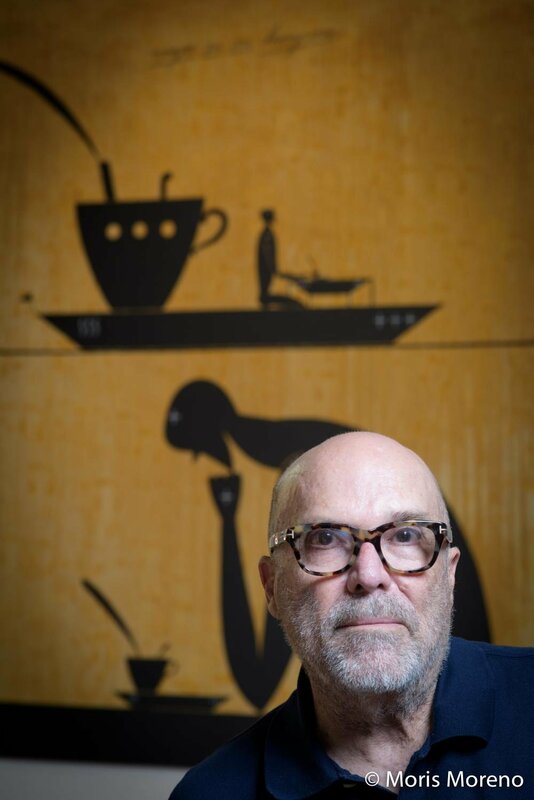 He quickly became a player within Miami’s art milieu as a founding trustee at the Miami Art Museum (now the Pérez Art Museum Miami), and as a shepherd for several generations of newly arrived Cuban-exile artists. It’s a role he still plays, connecting emerging talents with curators and helping them navigate an art market that remains opaque even to sophisticated economists. 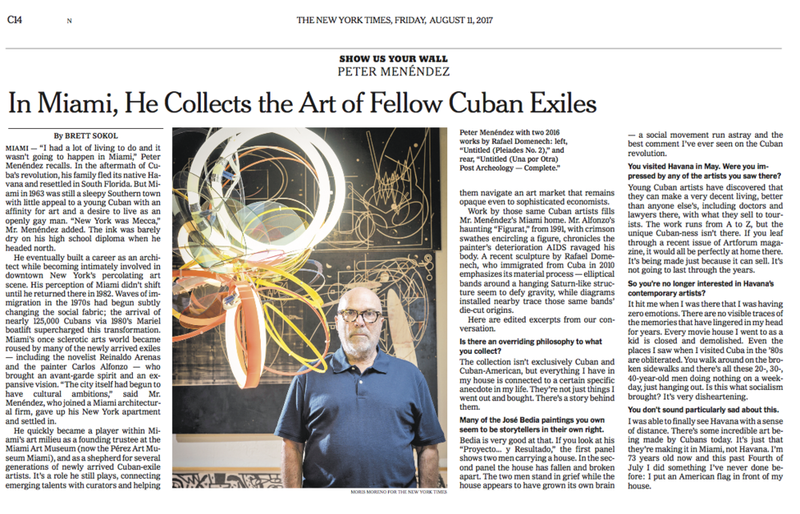 Work by those same Cuban artists fills Mr. Menéndez’s Miami home. Mr. Alfonzo’s haunting “Figurat,” from 1991, with crimson swathes encircling a figure, chronicles the painter’s deterioration AIDS ravaged his body. A recent sculpture by Rafael Domenech, who immigrated from Cuba in 2010 emphasizes its material process — elliptical bands around a hanging Saturn-like structure seem to defy gravity, while diagrams installed nearby trace those same bands’ die-cut origins.